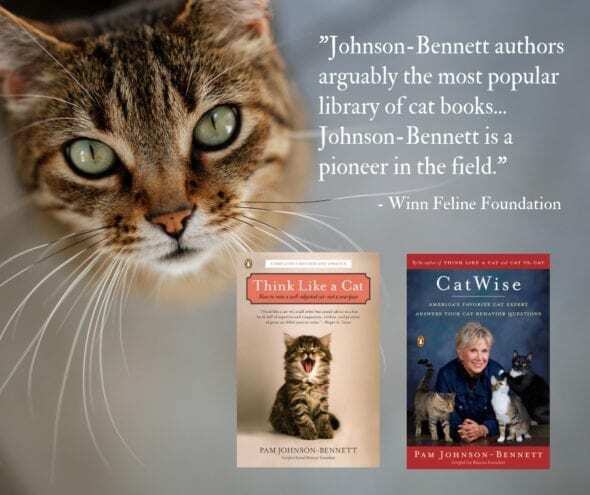 For more information on easing a cat’s anxiety, refer to any of the books by best-selling author, Pam Johnson-Bennett. Pam’s books are available at bookstores everywhere, through your favorite online book retail site and also right here on our website. You can find more information on cat behavior and training in the articles on our website as well as in Pam’s best-selling books. If you have a question regarding your cat’s behavior or health, please contact your veterinarian. This article is not intended as a replacement for your cat’s veterinary care. This article is for information purposes only and not offering medical advice or providing a medical diagnosis.